Sorry, this listing has sold out. Are you looking for that warm, soft tone that just feels and sounds like home? Then the Sheptone Tribute 2's are just for you. 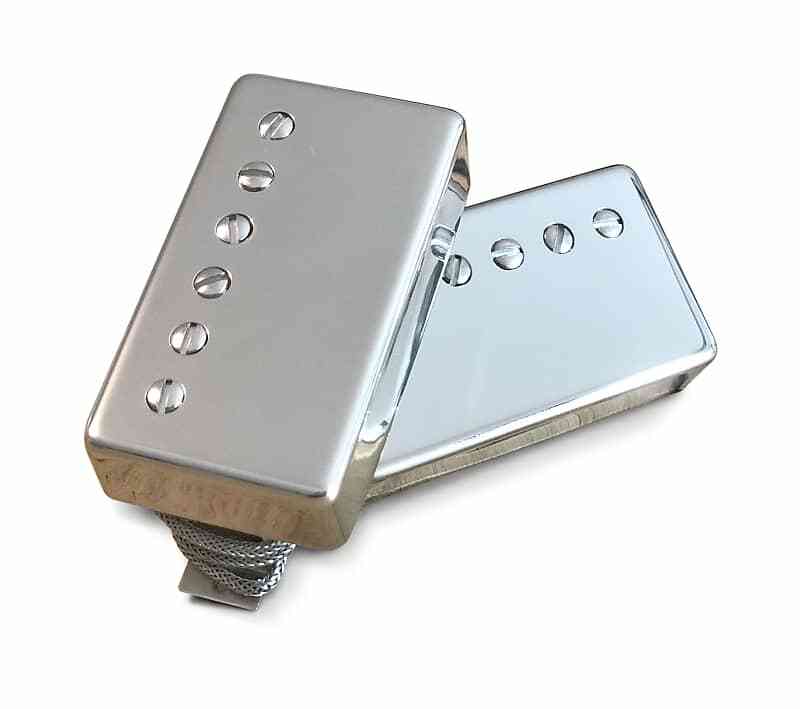 Tribute 2 pickups are made with Alnico 2 degaussed magnets, using 57-58 spec 42 Enamel. They’re hand-built and designed to replicate the classic “Patent Applied For” (PAF) sound, but with a personality and delivery all their own. With the lower magnetic pull, Tribute 2 pickups have excellent dynamics at the bridge, and players don’t need to worry about a muddier, darker tone at the neck. My scatter-winding process creates more air space in the coil, enabling more treble to come through and slightly increasing the resonant peak of the pickup. The result is clear mids, spongier bass and a softer attack, with the clarity you want. I don't cut corners on materials, either. I use nothing but the best to insure I deliver you the best. In fact, I've had to create my own molds and tooling for many pieces as the parts used by others just won't cut it. Tribute 2 pickups are built with PAF 49.2 mm pole spacing, butyrate bobbins, nickel silver base plates, long feet, and vintage braided lead wire. The resulting tone will not only satisfy Alnico 2 afficionados, but will also get the attention of other vintage guitar fans looking for a special pickup with a reasonable price tag. Match your unique sound with a customized look by choosing from a variety of bobbin color combinations or nickel silver covers plated in nickel, chrome or gold.